Through the Year With Who Let the Dads Out? Everything you need to set up and run a Who Let The Dads Out? session! 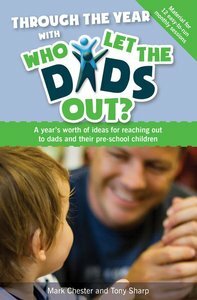 Celebrating ten years of Who Let The Dads Out?, this resource contains a year's worth of session material for group leaders, including fresh ideas for themes, games and crafts. About "Through the Year With Who Let the Dads Out?" Mark Chester is the founder and chairman of the Who Let The Dads Out? A national initiative, which began in 2003. He works full time for Liverpool Football Club as their community family officer, where he has established and developed Tactics 4 Families, a schools programme using the language and principles of football to encourage the skills needed in positive family relationships.